Would you get a new wheelset or a power meter and what would be your reasoning? Below is a list of products I have been researching. The wheelset would be used for training and racing. 95% of my racing is criteriums with generally all flat courses (I'm from Chicago). I am approximately 157 lbs. I ride a 2007 Scott CR-1 with Red Group and 2005 Kysrium SSC SL wheelset. I do not currently own a power meter. I don't have one, but if I were in your shoes I'd go with the PM. i would not get an ibike. Get a used PT or such. If your goal is to get better at racing, a power meter is the way to go. I would recommend a Power Tap since it appears you are paying. Best Value/performance. Why would you not get an iBike? My recommendation is the PowerTap. Even though I have been riding for 25 years, my overall fitness has improved faster in the last few months since I got my PowerTap than I ever remember in the past. And that includes the fact that I spent a month trying to recover from Bronchitis/Asthma/Pneumonia. It wasn't until I saw the data from the Powertap that I got a good understanding of the underlying work being done, moment to moment within a workout. I also got a firm understanding of the way my body responds to various stresses such as climbing, sprinting, and so forth. That information has helped me focus my training in a way that I never could have. I've gained 8-10% in power throughout my profile since late November. Granted, I'm an old guy and my power numbers weren't that impressive (and still aren't) but I think the gains are pretty amazing, and worth the money. In my opinion the knock on the ibike is that it is that it indirectly measures power, rather it infers your power from changes in wind speed that it picks up. Supposedly it tracks well with SRM/Power tap after data smoothing has been done, but it supposedly does not pick up short bursts accurately, so if you want to measure your short efforts accurately so that you can do direct comparisons from ride to ride then something of the SRM/Power tap family will be the better choice. I would buy a power meter, but it wouldn't be the iBike unless I could get a really good deal on one. The Powertap is just so much more trustworthy, and not much more expensive if you look around. This is from someone who has neither a power meter nor proper race wheels. Power meter is my first purchase coming up this summer when I have a job again. BUT WHEELS IF: you want to spend money, but aren't interested in learning or working pretty hard. Heck - we all like toys - buy this if you want cool stuff that will probably help. Thanks everyone for the input, I think i'm going for a power meter and hold off on the wheels for next year. 2. Training and Racing with a Power Meter by Allen/Coggan. 3. The Rider by Tim Krabbe. I use the second to help me get the most out of the first. If I need motivation I read the third. The nature of the OP's question is wrong. The iBike is a complete and utter waste of money. So are the Neuvations, but the iBike does trump every other cycling product I've ever encountered in the Fail Dept. On the other hand I was while I was personally stupid enough to buy an iBike, I was NOT stupid enough to buy Neuvations, so I do have that going for me. But b, you said the same thing about Opytgen. Not sure I follow. Are you saying Optygen isn't a waste of money? I was set on buying the Ibike, but like Botto said, "do some research". I did, and after comparing Ibike to PT, it doesn't seem as accurate, and you can't use it on a trainer. I figure, I will save my money for a PowerTap wheel which is essentially only about $500 more built on a Solitude rim. Build a PT hub on a 30-40mm rim. Hell, buy a set of Soul 4.0's and relace the rear with a PT hub. Then you have a good racing/training wheelset and you can swap the front wheel for something else if you're training or if it's really windy. This is what i did. 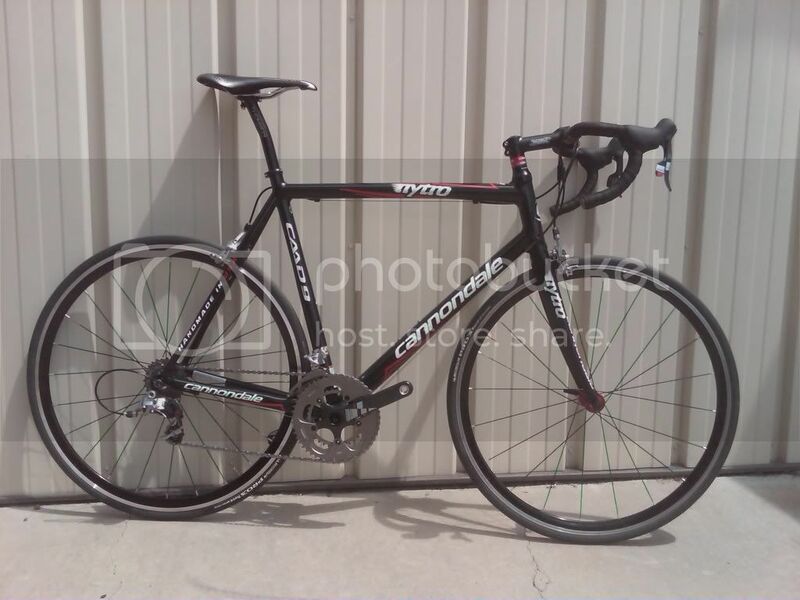 I bought a 2009 PowerTap Comp [new] from Competitive Cyclist for $549 and built it up with a 30mm DT Swiss RR 1.2 rim and 32 DT Swiss Competition spokes.